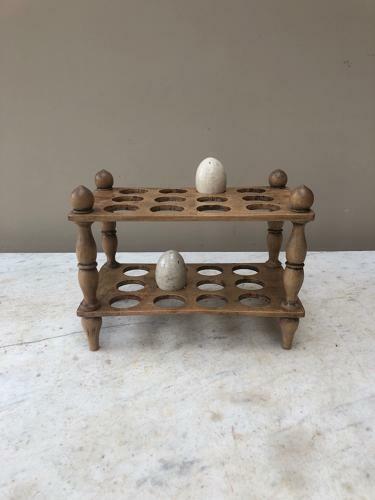 Great condition Victorian Treen Two Tier Egg Rack. Each tier holds 12 eggs or One Dozen. Pretty and sturdy piece with lovely turned column supports.